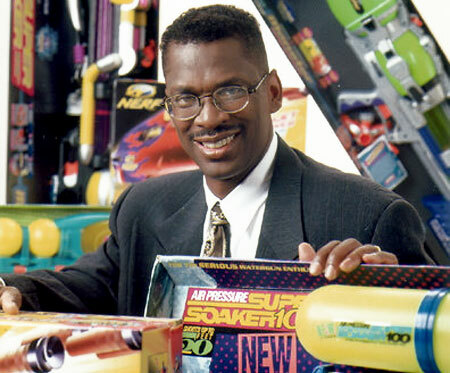 Lonnie Johnson has been inventing thermodynamics systems for NASA and other organizations. But one day while he was working on a environmental heat pump he got the idea of a powerful water squirt gun- the Super Soaker, which the product alone makes him hundreds of millions of dollars. Now he is back, with a new solar technology called Johnson Thermoelectric Energy Conversion System, or JTEC. The company claims that this new method can convert up to 60 percent of received solar energy into electricity without using any photovoltaic (PV) materials. This is not PV technology, in which semiconducting silicon converts light into electricity. And unlike a Stirling engine, in which pistons are powered by the expansion and compression of a contained gas, there are no moving parts in the JTEC. It’s sort of like a fuel cell: JTEC circulates hydrogen between two membrane-electrode assemblies (MEA). Unlike a fuel cell, however, JTEC is a closed system. No external hydrogen source. No oxygen input. No wastewater output. Other than a jolt of electricity that acts like the ignition spark in an internal-combustion engine, the only input is heat. Here’s how it works: One MEA stack is coupled to a high- temperature heat source (such as solar heat concentrated by mirrors), and the other to a low-temperature heat sink (ambient air). The low-temperature stack acts as the compressor stage while the high-temperature stack functions as the power stage. Once the cycle is started by the electrical jolt, the resulting pressure differential produces voltage across each of the MEA stacks. The higher voltage at the high-temperature stack forces the low-temperature stack to pump hydrogen from low pressure to high pressure, maintaining the pressure differential. Meanwhile hydrogen passing through the high-temperature stack generates power.